Let us begin with a perfect, my lips but better, neutral. Choose a neutral that works best for your skin tone. 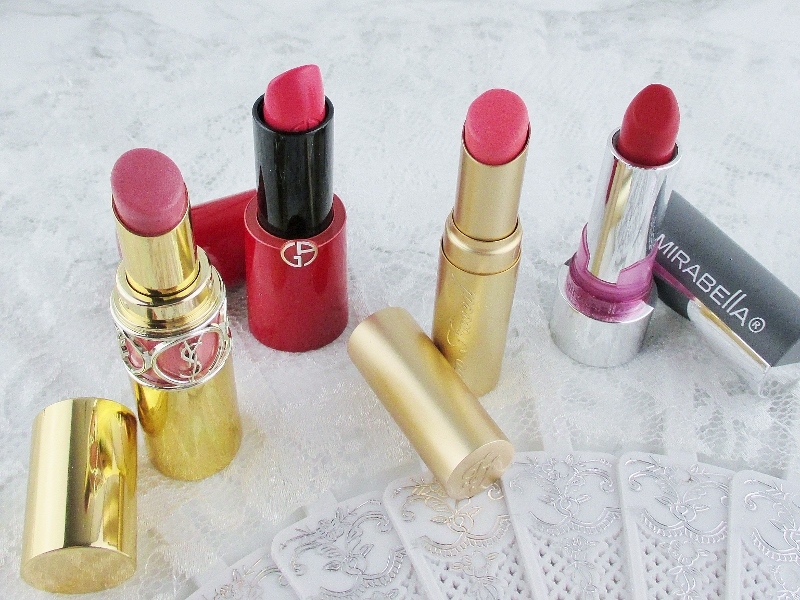 I like pink-neutrals like the Yves Saint Laurent Rouge Volupte Shine Oil - in - Stick Lipstick. This is a beautifully pigmented but feather light, hydrating formula that, while not super long wearing keeps my lips moisturized and comfortable and it's so easy to apply that I can smack it on, anywhere even without a mirror. My favorite shade is 08 - Pink in Confidence. When it comes to pink-pink, in the summertime I like it bright. Every line has it's gorgeous bright pinks, Georgio Armani Rouge Ecstasy Lipstick has a silky, gel like feel and a softly glossy finish that bathes my lips in moisture, all day. The shade I love is 501 - Peony. Oh, stop laughing. I was going through a phase. 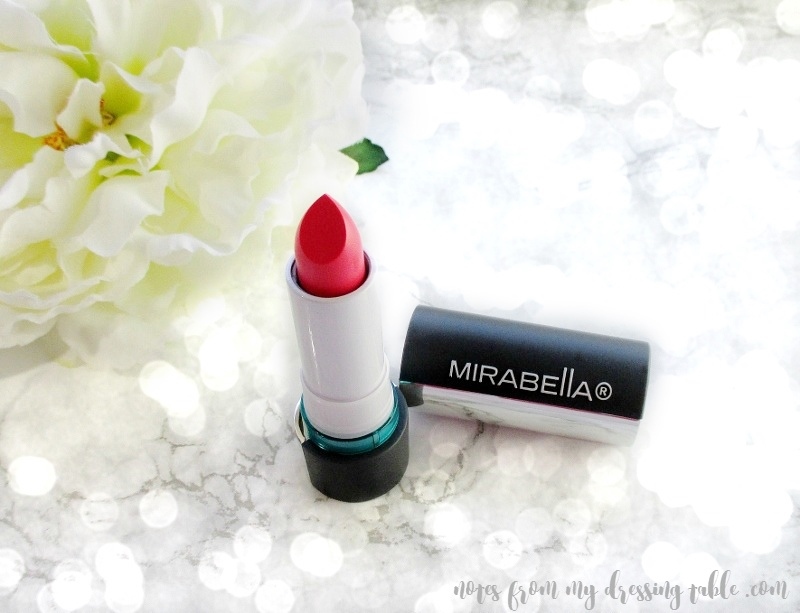 While we're on the subject of Mirabella lippies, every summer lipstick lineup needs a chic, classic red. 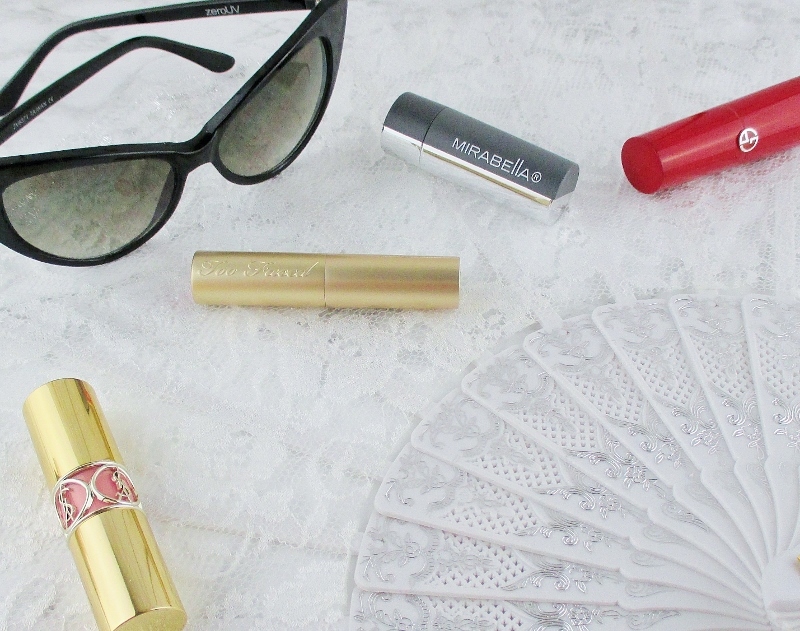 I am exceedingly fussy about the red lippies I wear and even more so, if the formula is matte. Let me tell ya, Mirabella Modern Matte Lipstick in Crimson is a winner. Gorgeous, easy to apply, amazingly comfortable to wear, this perfectly balanced red is perfect on fair skin or paired with a tan. So, there we have it. 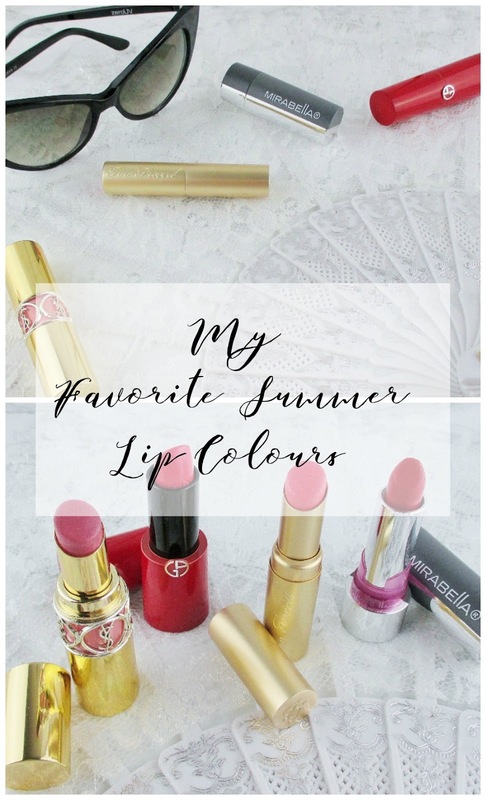 My favorite summer lip colours. What are the colours you like to reach for most often this time of year? 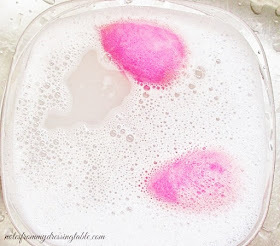 This is a post in collaboration with my fellow Makeup Wars beauty bloggers. 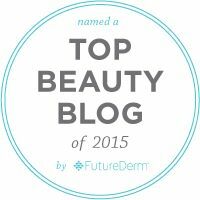 Don't forget to take a look at all of their great posts and see what they are wearing on their lips, this summer. Some nice lip colors for summer you've been loving. Yes, yes, yes to all four of your beautiful choices, Erika! I came thiiiis close to adding the Mirabella Balmy Nectar, I even had it out to photograph then I pared down again and it didn't make the cut. Glad you chose it to show everyone how fab it is! You've got some beautiful choices. I hate when brands discontinue my favorite colors! That brings out the hoarder in me. Such pretty shades. I'd be glad to wear any of them. And thanks for reminding me to search for my Mirabella Crimson. I need to wear it! I wanted to buy one of the orginal Rouge Volupte lippies earlier this week, but the YSL SA says a bunch of the shades have been discontinued over time! I have an RV Shine, but the originals were satin, pigmented, and longer-wearing. Bummer! I really love that Giorgio Armani lippie - I need to splurge on one of these lipsticks!!! I loooooove nudes and corals! i love the variety of shades you shared. You know I love YSL and GA! Corals are a huge staple in my lippie wardrobe. It's like they're dressy but not "overdressed", you know what I mean? Gorgeous shades! I am always a bit shy with coral, but the have been wearing MAC Cut a Caper quite a bit.